Why was Northside called “Helltown,” and what role did local soap mogul, Andrew Jergens, have in cleaning up its image? 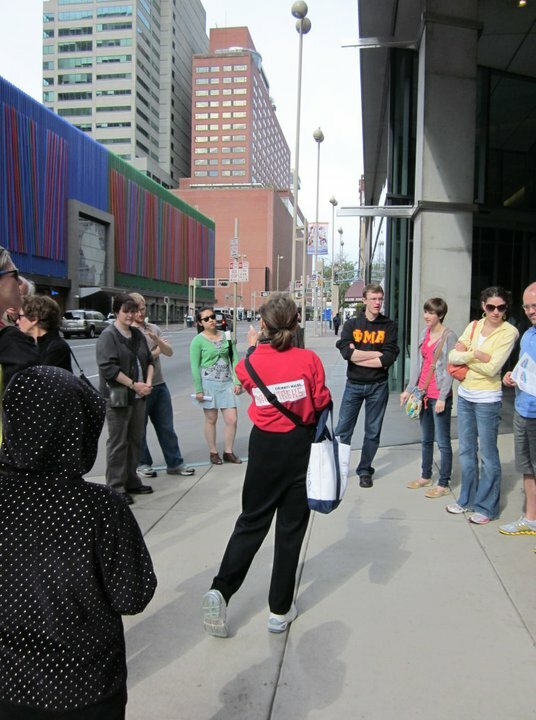 Every Saturday and Sunday until October, the Cincinnati Walks Architreks walking tours take participants on guided, two-hour jaunts through the city’s first communities. Walk about Downtown, Over-the-Rhine, Mt Adams, Walnut Hills, Clifton or Northside and learn how these 19th century neighborhoods took shape. This is Architreks/Cincinnati Walks’ 10th season, and as always, proceeds benefit community preservation and education. Sponsored by the Architectural Foundation of Cincinnati and the Cincinnati Preservation Association, all two-mile tours are wheel-chair accessible, and there is a wheelchair available at the Contemporary Arts Center for customers downtown. No reservations are necessary to reserve spots on the tours, and groups and businesses may arrange custom tours by request. Tours are $5 for children, $15 for adults, and $120 for groups of 10 or more. Subscriptions are only $30. You can stay connected by becoming a fan of Architreks on Facebook. Visit the website or the Architreks/Cincinnati Walks Facebook Page for tour schedules and other information.